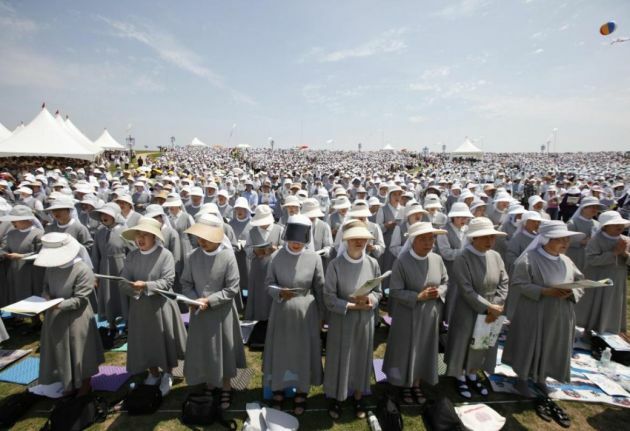 (Photo: Reuters)In 2011, South Korean Catholics participated in a prayer rally in Paju near the demilitarized zone separating North Korea from South Korea. 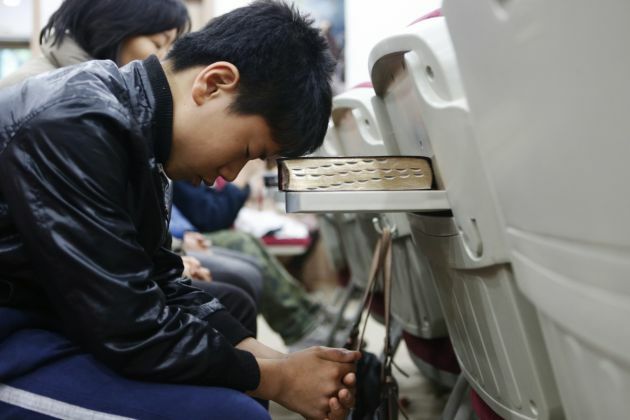 The prayers aimed at unifying North and South Korea. Masses dedicated to inter-Korean reconciliation used to be held annually from 1987 to 1995. South Koreans have again appealed to North Korea to send Catholics to attend a mass celebrated by Pope Francis on his coming visit to Seoul. The first request for 10 Catholics was made in May. The Korea Herald said that representatives of the Catholic Bishops' Conference of Korea and the Seoul archdiocese met members of the North Korean Catholic Church in Shenyang, China, on May 18 and 19, and invited them to attend the papal mass. Pope Francis will meet with President Park Geun-hye and attend a gathering of young Catholics during his August 14-18 visit. He will also preside over a beatification ceremony for 124 Korean martyrs and bring a message of peace to the Korean peninsula at a mass on August 18. Francis will be the second pope to visit South Korea. Saint John Paul II visited the peninsula in 1984 and again in 1989 when he was the Pope. Catholic spokesman Father Hur Young-yup told The Associated Press that the North is expected to respond by early August. He said that there were about 50,000 Catholics living in North Korea before the 1950-53 Korean War which ended with an armistice, but no ceasefire. The number of Catholics in the North is currently unknown. The North Korean Catholics' visit to Seoul will be symbolically significant. But Hur does to not expect North Korea to allow the visit following decades of the Korean peninsula divide. Although North Korea's constitution provides for "freedom of religious beliefs," the atheist nation continues to interfere with the citizen's right to choose and exercise one's belief. Presently, there is repression of religious activities of unathorized religious groups in the country. In a July 15 report The Korea Herald, based in Seoul, reported that South Korea is to announce a presidential committee aimed at making preparations for unification with Pyongyang Korea during tensions over sporadic missile launches by North Korean. President Park said the country should be prepared for inter-Korean unification. She said this would be a "bonanza" for both Koreas as well as a blessing for neighboring countries.